Watson & Brookman Inspection Tables are constructed in Stainless Steel. 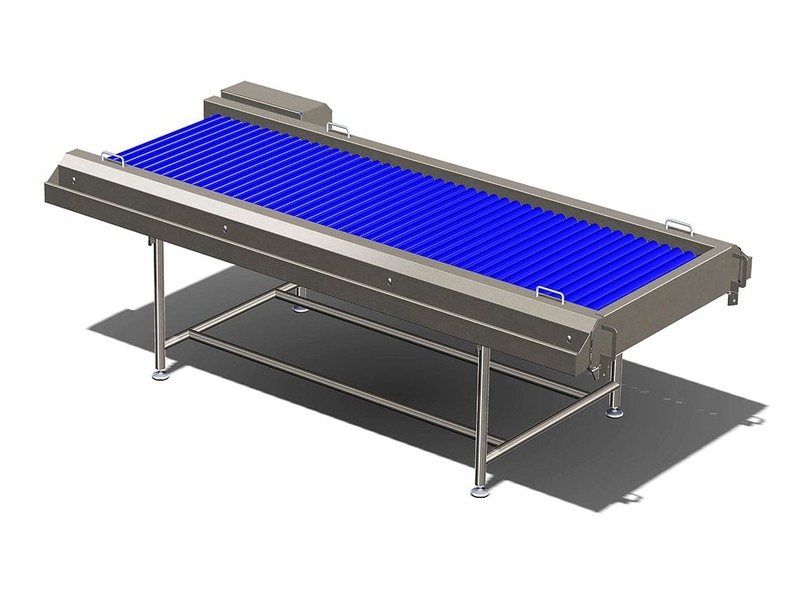 They are supplied with drop down sides for cleaning, side troughs and chutes for handling the waste product as standard. Additional diverter lanes are available to further segregate the product as necessary. Available as flat conveyor belt or roller table type. 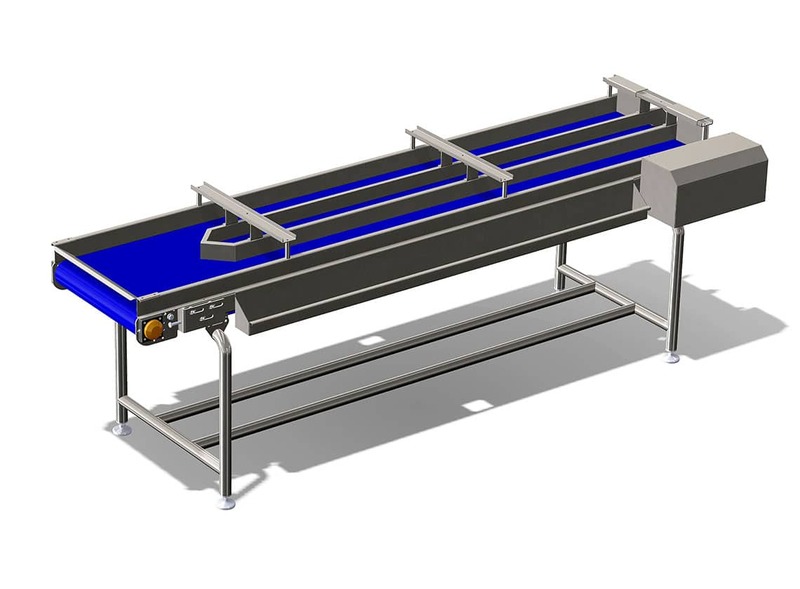 Personnel stands and any additional waste conveyors are available to suit the customer’s requirements. Why choose Watson & Brookman? Established in 1977, Watson & Brookman are a family run business known for their manufacturing of high quality stainless steel products within the agricultural crop spraying and food processing industries. Through continuous investment in modern high tech machinery we are able to offer our customers a wide range of services. This flexibility, together with a wealth of experience built up over 40 years, enables us to manufacture any special fabrications required by our customers.